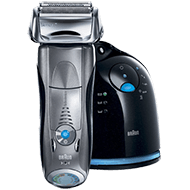 The Philips Norelco 6100 is a great shaver in the $90 price range that is sure to please most finicky men. It features the Philips Gyroflex 2D contour following system that actually adjusts to your own personal facial curves, all without irritation or added pressure. 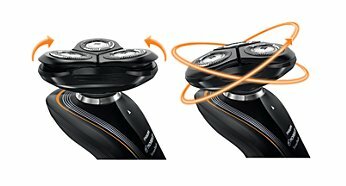 This rotary shaver has “DualPrecision” heads that are able to shave both stubble and longer hairs. 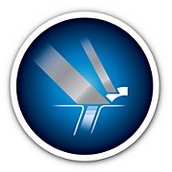 “SkinGlide” technology allows for a smoother glide over the face, than the shaver competition. For men who are used to the close shave of a traditional shaver, do give the Philips Norelco 6100 a try, particularly in wet mode. You can use this shaver wet or dry, though the product packaging doesn’t say that it’s safe to immerse the shaver completely in water. You can shave wet with water, or with shaving gels, foams, and lotions. There are convenient airing holes in the shaver to allow water to drip out, allowing the shaver to dry. This shaver comes in a unique design, and would make a great gift for that special man in your life. Wet electric shavers can sometimes be bulky and tricky to handle, particularly when soap and lotion is involved. You don’t want to drop your shaver into the sink, as you spent good money on it. This shaver is made with blue and black plastic, and has rubber ridges along the edges, providing a strong grip, particularly when shaving with water or creams. Whether you’re using your shaver wet or dry, you can get a firm grip on your shaver, without worrying about dropping it in your sink. 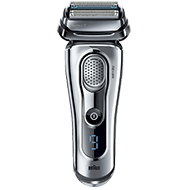 The Philips Norelco 6100 is a cordless electric razor, allowing the lithium-ion battery to be charged up for portable, cordless operation. One hour of charging will give you up to forty minutes of shaver use. There’s also a cool three minute charging option, great for when you forgot to charge up your shaver the morning before, but still don’t want to head to a meeting without a good shave. Simply charge up for three minutes, and you’re ready to shave. Just be sure to charge it up properly for the next day’s use, as a three minute charge only gives you enough juice for one shave. A battery indicator lets you know when your battery is running low, and should be charged up again. There’s also a low-battery warning letting you know when you’re about to completely run out of power. The Philips Norelco 6100 features a fast charge, and longer-lasting cordless operation, so you don’t have to constantly worry about charging up your shaver. 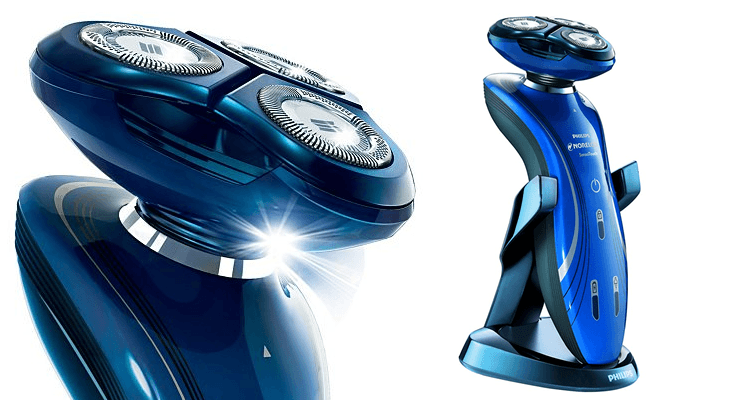 Everything about this electric shaver allows it to be completely user-friendly. Shaving has suddenly become fun, not a chore. The Philips Norelco 6100 is super easy to clean. Just run it under tap water and use the included brush to scrub out the nooks and crannies. Superior lift and cut technology lifts up even the flattest hairs, enabling the blades to snip the hair off, all without discomfort or irritation. 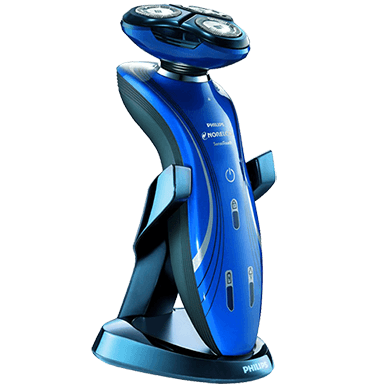 The “GyroFlex 2D” technology allows the shaver to follow the contours of your face, flexing and moving with your skin, all without applying any hard pressure or friction. There’s no need to force the shaver to do what you want, it intuitively guides its way around face and neck. Some shavers miss stubble, but the Philips Norelco 6100 will shave even the shortest hairs, making your face look ready for the day. Even hairs below skin level will be trimmed off, providing a more lasting smooth complexion throughout a long day. There are special slots in the foil to grab the shorter hairs, and larger slots to grab the longer hairs. Either way, your entire face and neck will have a good, smooth shave in the morning. One of the niftiest features of this electric shaver, besides great performance, is that there is a hair collection chamber. If you have a spouse who complains about you making a mess in the bathroom, they’ll surely appreciate that the bathroom won’t have tiny hairs scattered all over the place after a good shaving session. 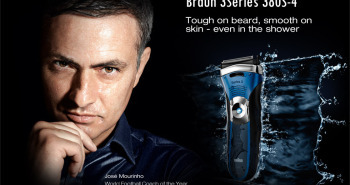 There is a precision trimmer feature included on the electric shaver that can trim mustache and sideburns. If you need to trim a beard, there’s an optional beard groomer that can be purchased. 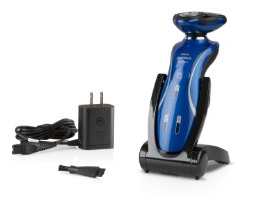 The Philips Norelco 6100 is the perfect electric shaver to take on your trip or vacation. Besides the hair collection department that won’t annoy your host, there’s a convenient travel pouch to store your shaver. A travel lock keeps your shaver from turning on in transit, so you can avoid that lump in your stomach of not having a working shaver upon arrival. There’s also a protective cap to protect the foil from dents and dings. While there are replaceable blades and foils available for additional purchase, you don’t want to have to replace them before their time is up. The shaver also has a dual voltage function from 100 volts to 240 volts AC, so you can even bring it on your trips around the world. The Philips Norelco 6100 shaver includes an electric shaver, charging station/stand, brush, power cord, manual, and convenient travel pouch, all in the box. The electric shaver weighs 1.2 pounds, providing a sturdier electric shaver that is guaranteed to provide a good close shave. Optional accessories include the SensoTouch beard styler, for men who need help grooming facial hair. Higher-end Philips shaver models include this feature, but with the Philips Norelco 6100 you are saving money not purchasing accessories you don’t need. 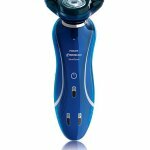 If you don’t wish to pay over $200 for the higher end Philips model electric shaver, the Philips Norelco 6100 is a great compromise, at a great price. It’s attractive looks and sturdy technology will not only make it a great gift, but will please even the most finicky of shavers. 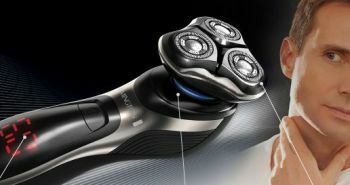 Philips backs up their claims that this is a great electric shaver with an inclusive two year warranty plan. You can just simply wash it under a tap.